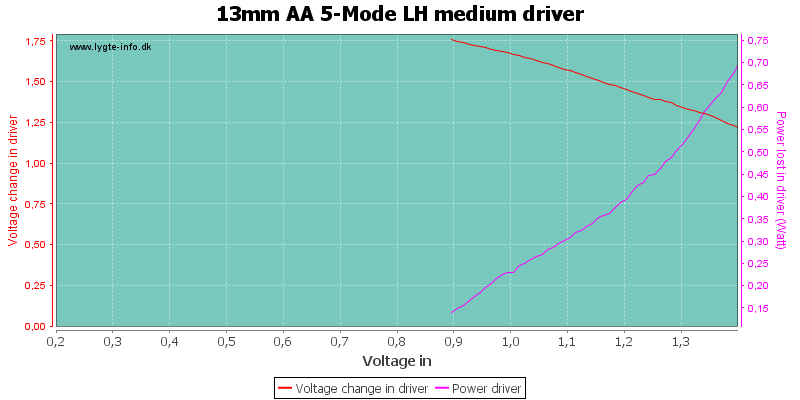 The driver has high, medium, low, strobe and sos. 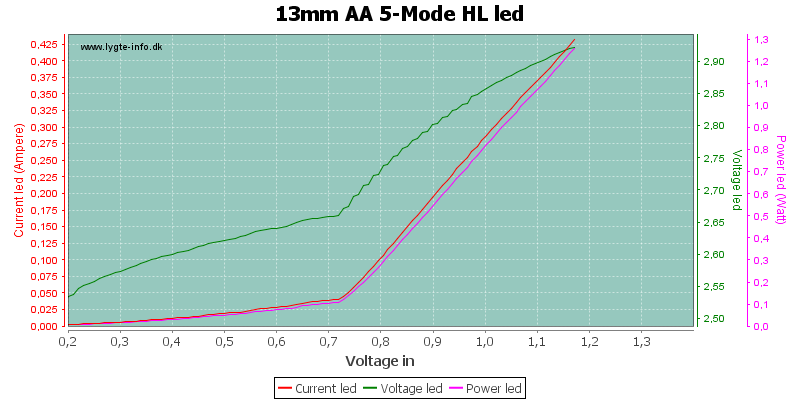 No memory, when off for a few second it will reset to high. 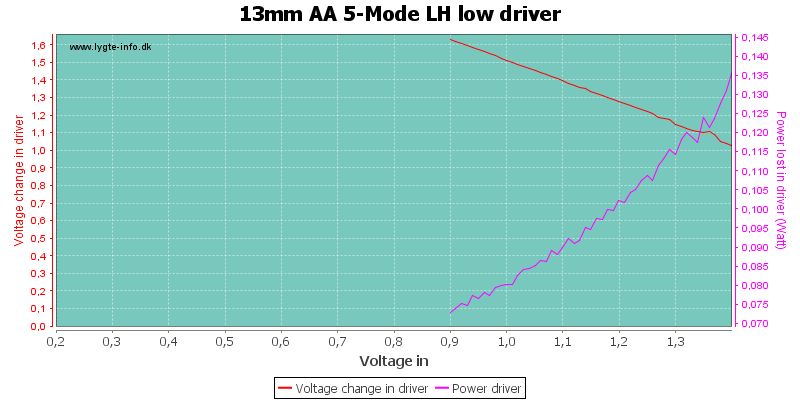 At about 1.3 volt the led turns off, but the driver continues with drawing current, not very good. 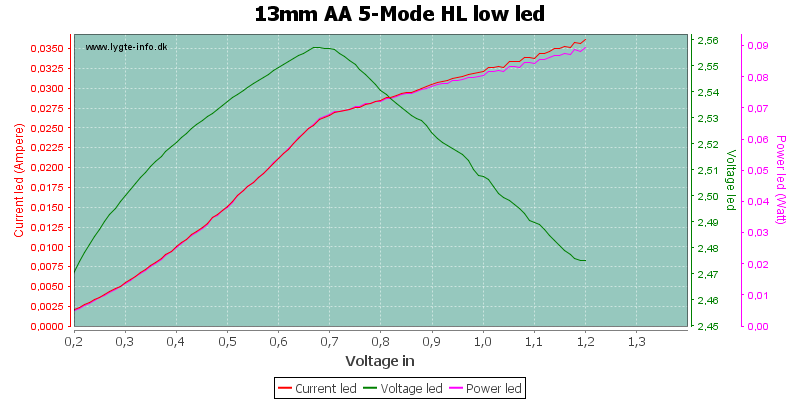 Led voltage has some high frequency noise in it, there is no problem in that. 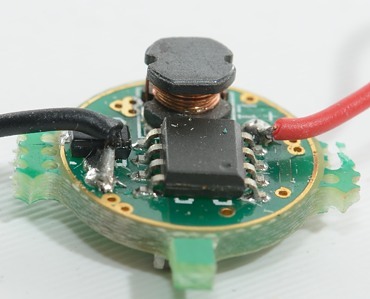 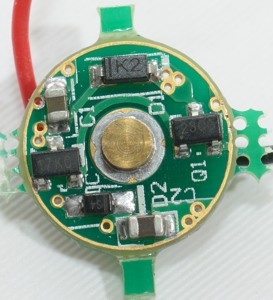 The regulation makes the led flash at about 3kHz at 1.2 volt supply. 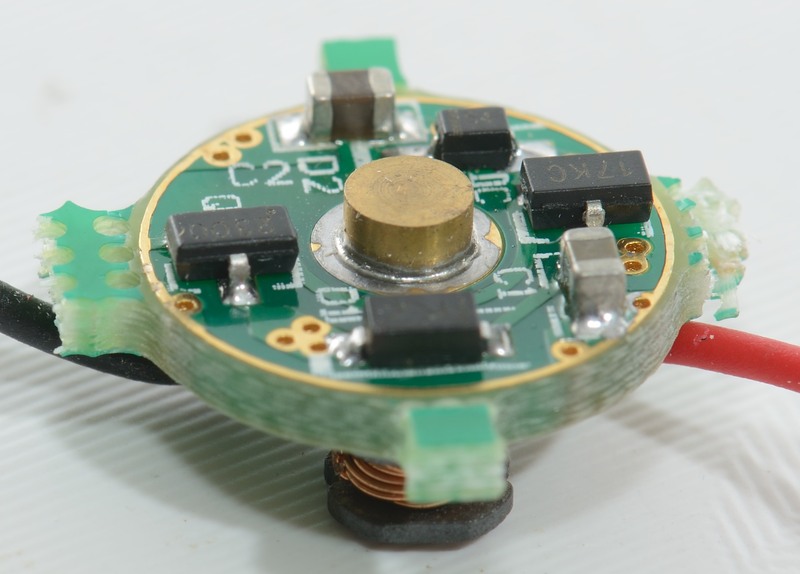 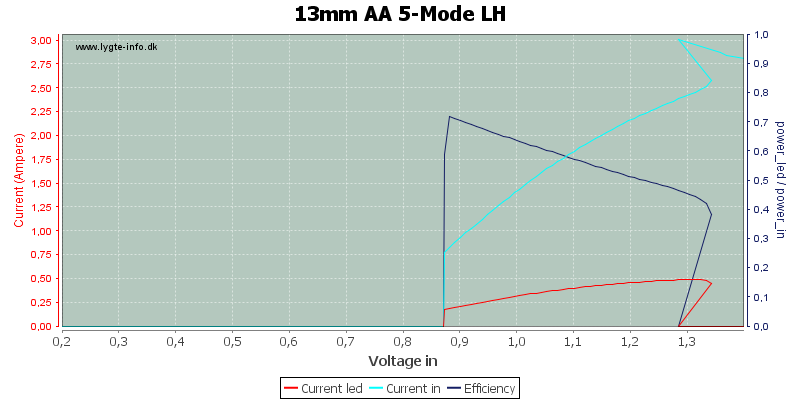 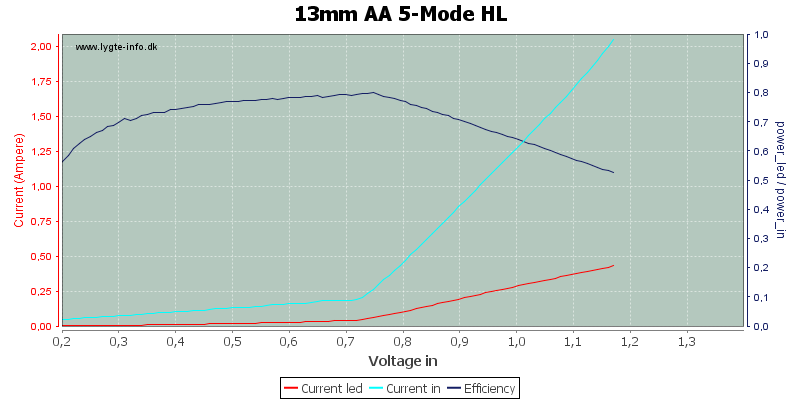 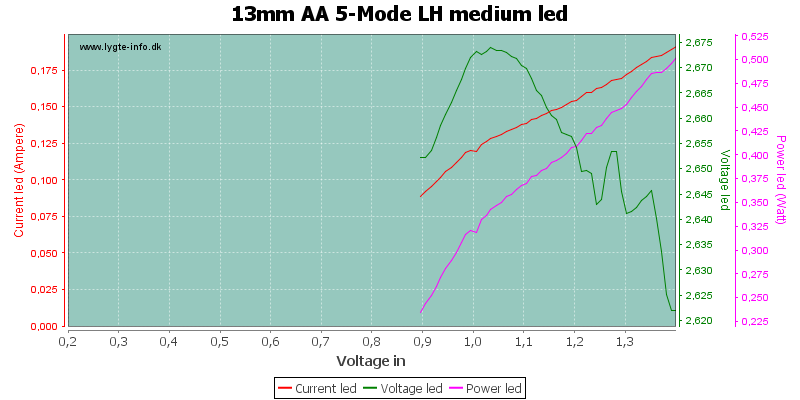 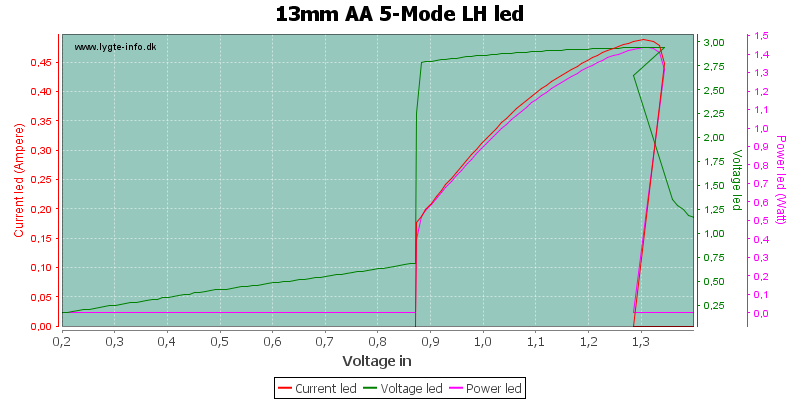 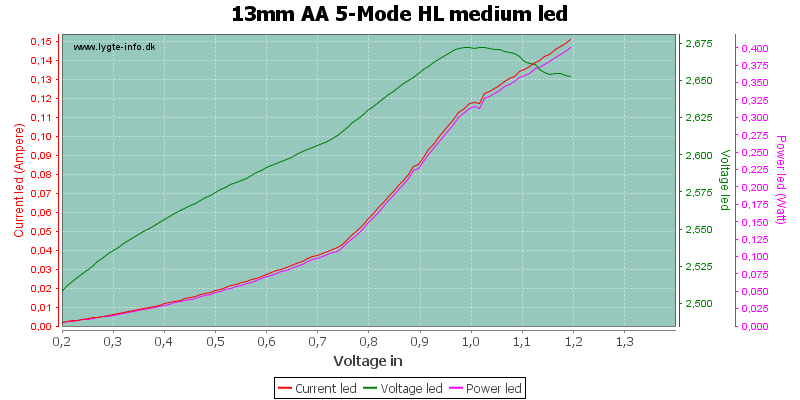 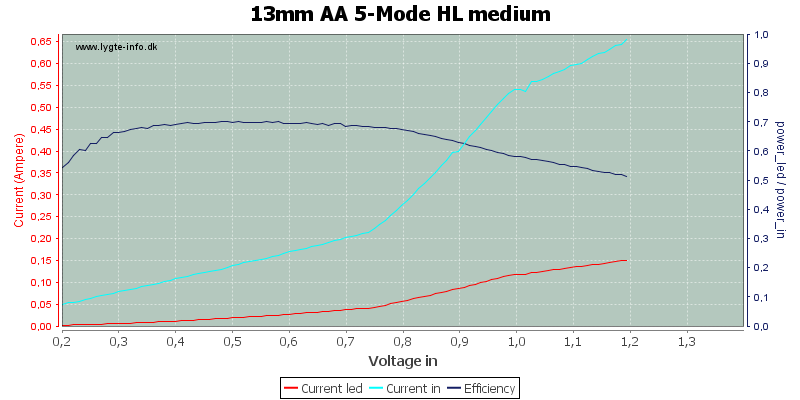 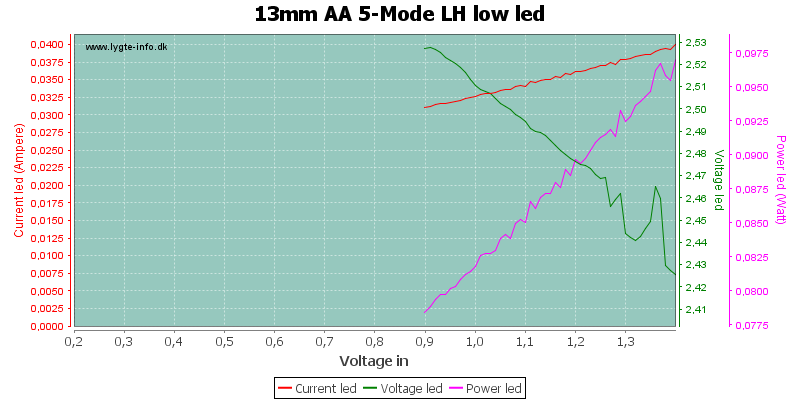 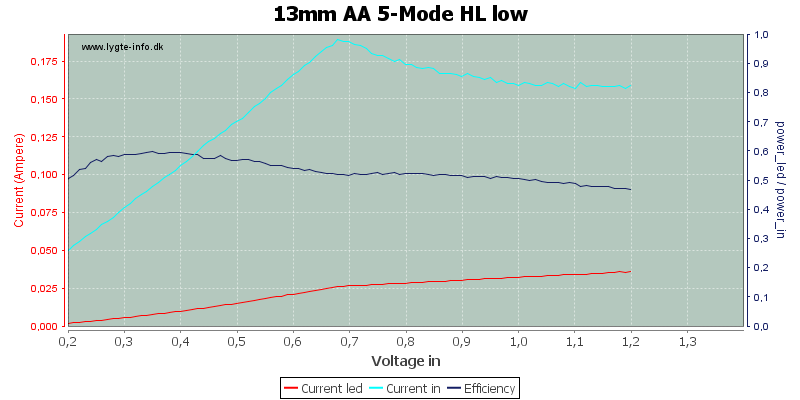 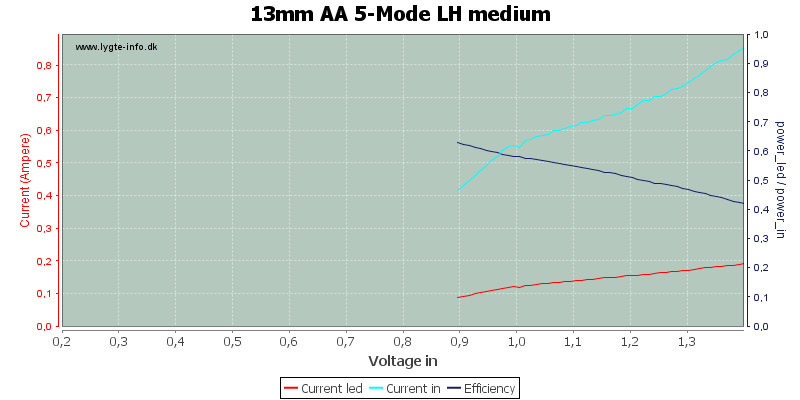 The regulation makes the led flash at about 1.4kHz at 1.2 volt supply. 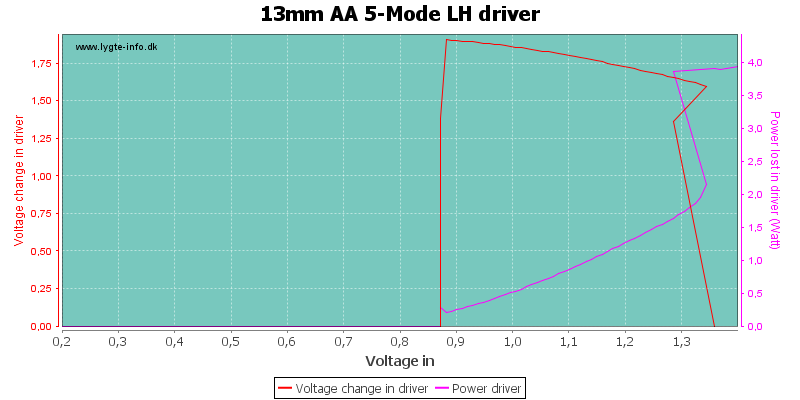 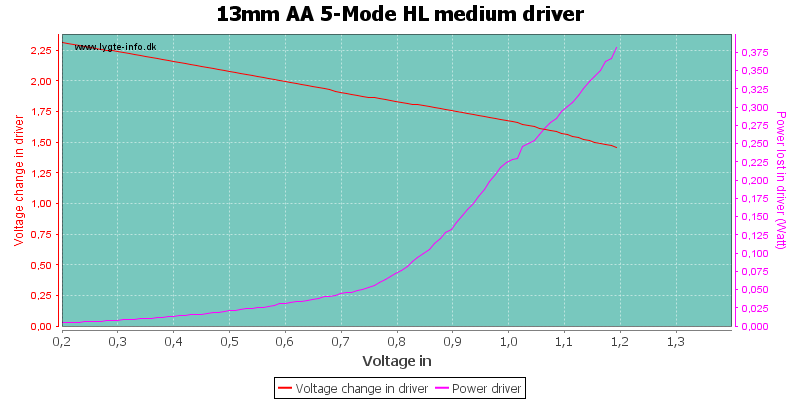 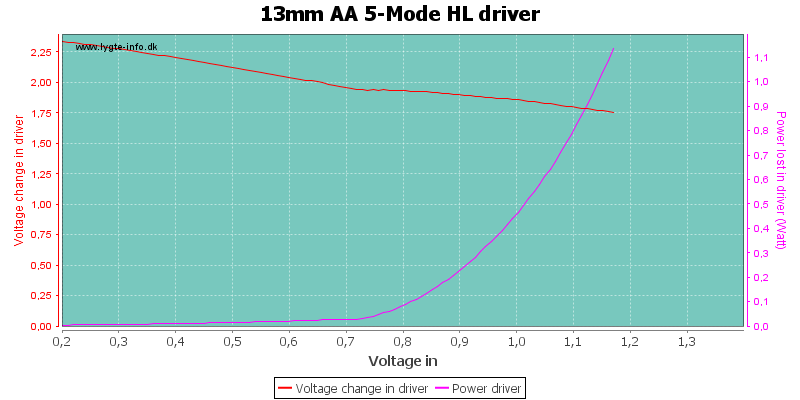 The driver is only designed for 1.5 volt batteries, preferable alkaline. 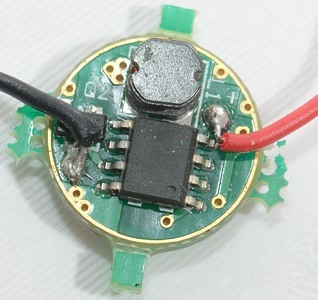 It will start at around 0.9 volt, on high it has trouble at above 1.3 volt. The regulation is not pwm, but a regulated boost regulator, the actual frequency will depend on mode and battery voltage. 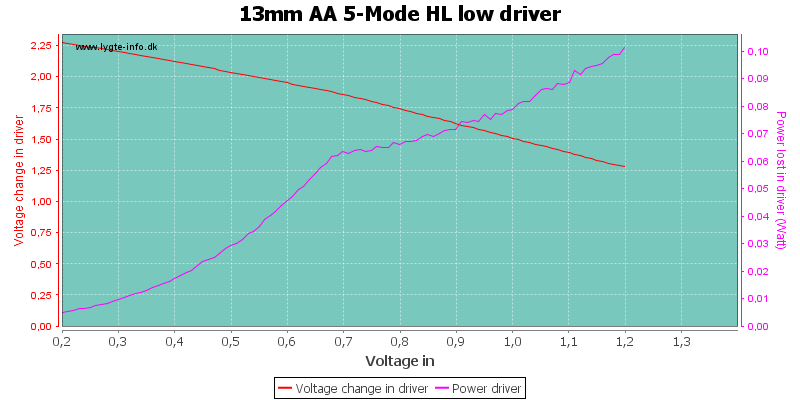 I do not like this driver, due to its low input voltage range.